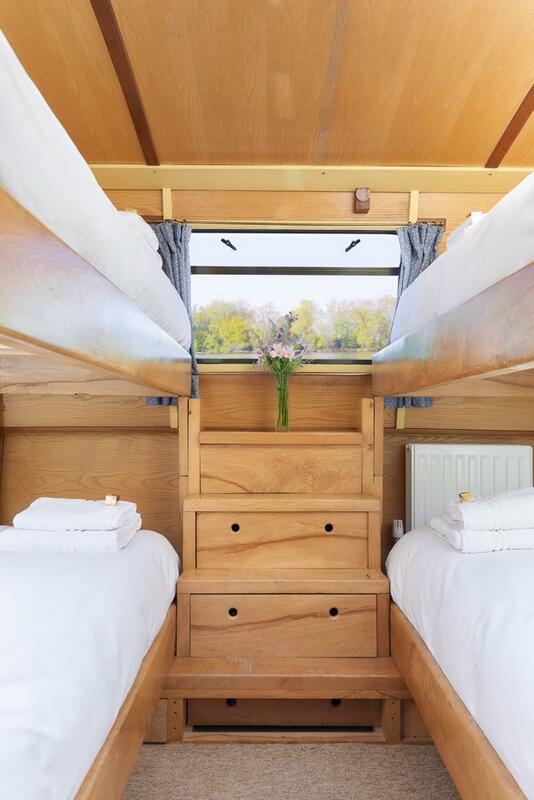 Medusa's master bedroom features a king size bed with generous storage space and vanity desk. 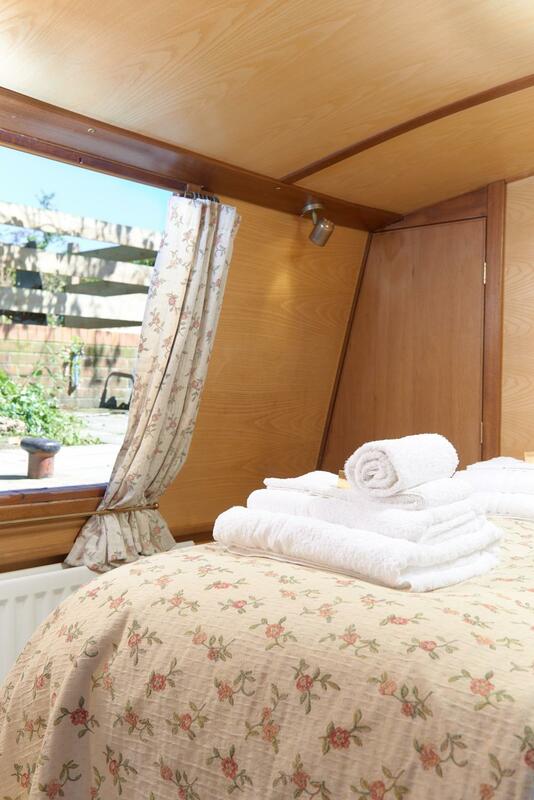 The middle bedroom has two sets of single beds, sleeping up to four individuals. 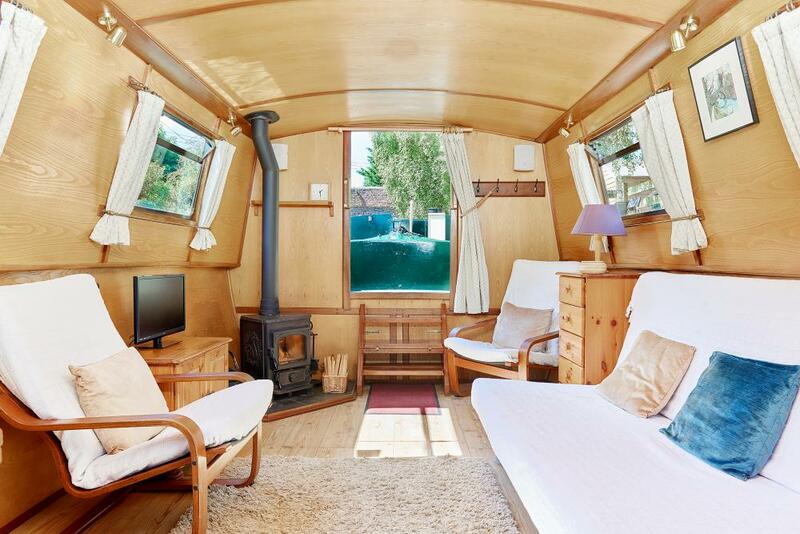 Her living room is comprised of a double sofa-bed that is very comfortable and easy to fold out. 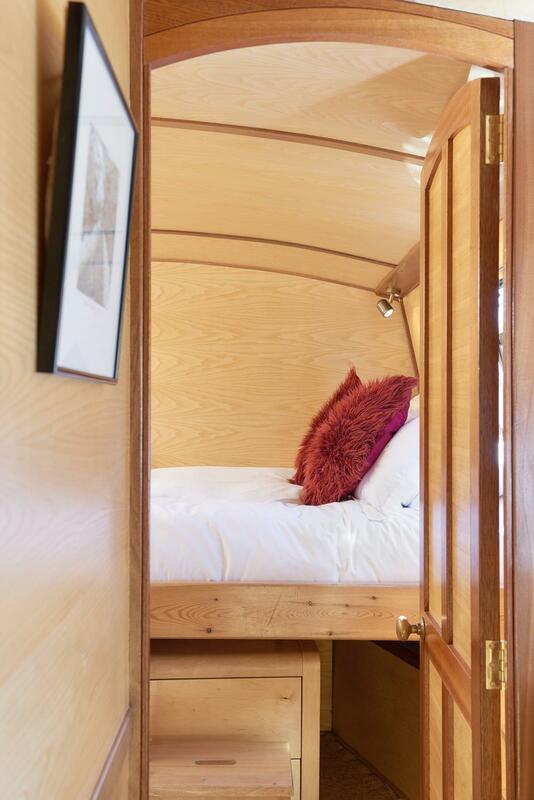 Medusa is a charming boat that makes you feel at home the moment you step onboard and is fitted with all the luxuries that come as standard on all of our canal boats, including a Jacuzzi Whirlpool bath, cosy wood burning stove and all the conveniences that you would find at home. 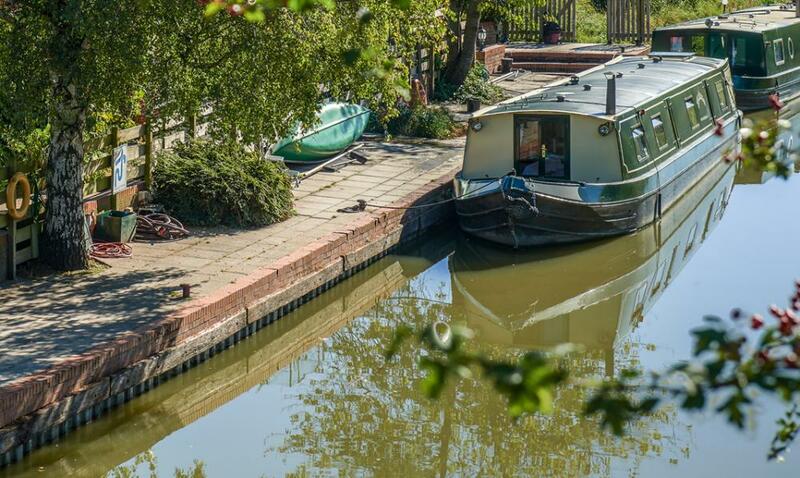 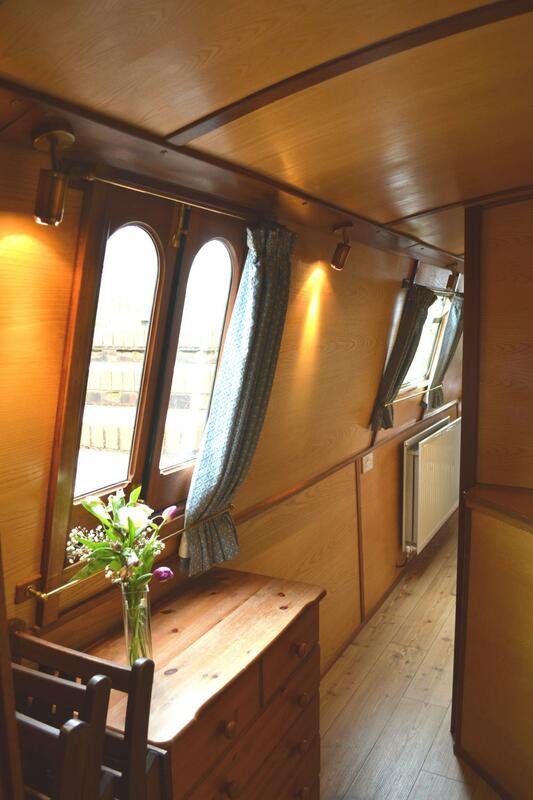 She is the perfect canal boat to hire for couples, families or small groups. 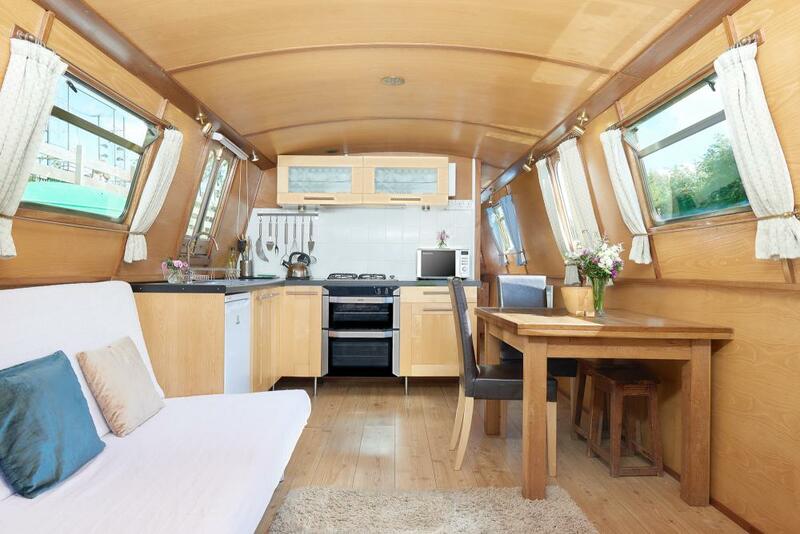 Due to her being just 55ft in length, she is a joy to manouver and is perfect if you're taking your first canal boat holiday. 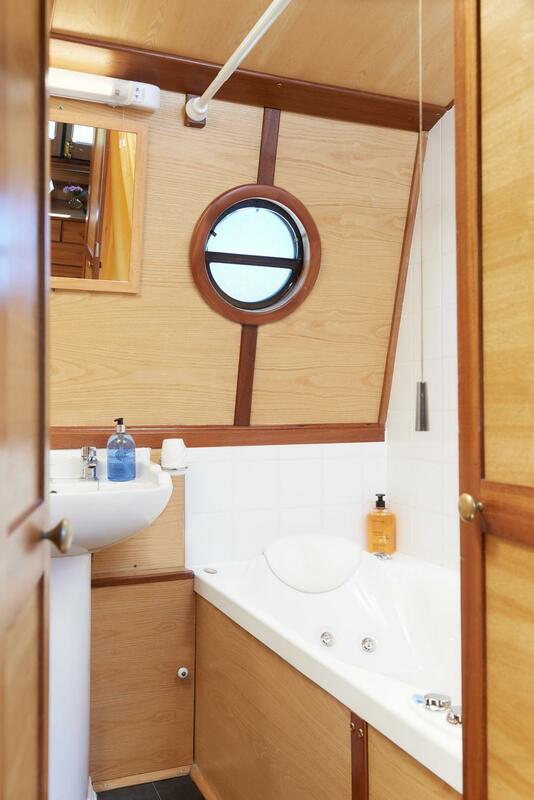 Medusa has a traditional stern that is suitable for the skipper and an accompanying crew member.